A report released on May 14 by the Centre for Economic Research (ZEW) in Mannheim, titled Risk of Automation in OECD Countries, has determined workers in Germany are significantly more vulnerable to job losses through automation than those in European countries with a larger service sector, such as Ireland, France and Denmark. Any task which can be described by a list of instructions, even a very long one, can be automated; lifting something off an assembly line, driving a car, and entering data into a spreadsheet are just a few examples. Hence roles in manufacturing and industry, typically made up of many of these tasks with little human interaction, are much more at risk of automation than roles in the service industry. Previous studies have considered vulnerability to automation by assuming a whole occupation will be automated. The ZEW report instead takes a task-based approach, considering the specific job tasks that are automatable. An occupation is assumed to be high-risk if it is made up of at least 70 percent automatable tasks. 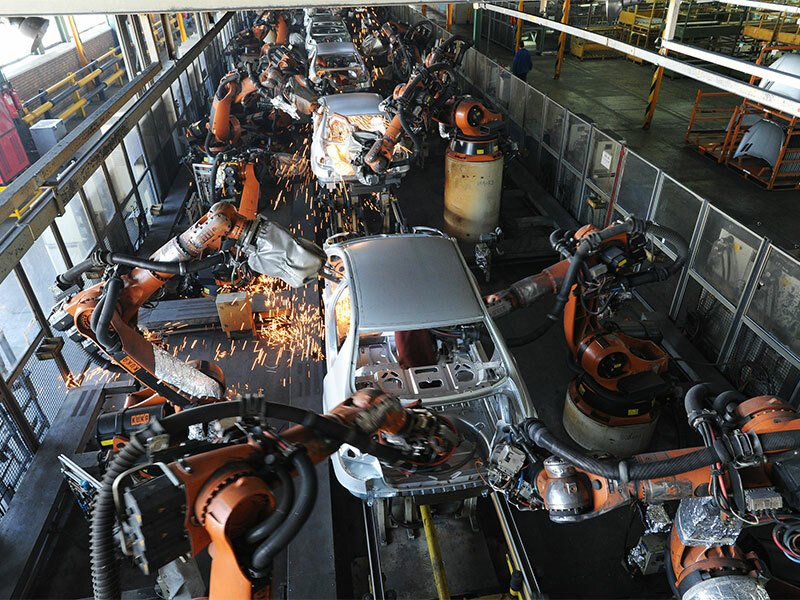 The report found that, across the 21 OECD countries, on average nine percent of jobs are threatened by automation. This figure is reassuringly lower than a previous study by the University of Oxford, which considered only the labour market in the US, and found a massive 47 percent of jobs at risk. However, the authors of the ZEW report do highlight significant differences between countries. At 13 percent, the share of workers in Germany whose roles are at high risk of automation is the largest of any OECD country, and Austria is not far behind at 12 percent. Estonia and Finland are both at the bottom of the table, at six and seven percent respectively. Germany is particularly vulnerable since its economy has more of a basis in manufacturing and industry than many other European countries. While, at 3.9 percent, Germany currently has one of the lowest unemployment rates in Europe, the government has prioritised austerity over investment since the financial crisis. IT infrastructure in rural parts of the country lags, and companies have not invested to keep pace with technological advances. Increased automation will also require the workforce to be re-skilled, a difficult and expensive feat in a country with an ageing population and large numbers of refugees who experience long periods of exclusion from the workforce. In an interview with Bloomberg, Achim Wambach, head of the ZEW Centre, asserted the German Government must take steps to boost technological knowhow and infrastructure to safeguard the country’s economic prowess.